Owning a tourbillon is a dream for many watch-loving folks. The little, eternally whirling cages, designed to counteract the effects of gravity on a timepiece’s isochronism, aren’t particularly practical, though they hold within them a charm that in many ways sums up the appeal of mechanical watches. But for many, the dream of strapping the pinnacle of watchmaking’s craft onto your wrist would always be just that — as, traditionally, tourbillons have come with a very high price tag. And while no one is suggesting that $20,000 is pocket change, when TAG Heuer introduced a Swiss, automatic tourbillon at this very aggressive price point, the industry as a whole took notice. It’s worth pointing out that TAG Heuer was able to achieve this by using more industrial processes in creating the tourbillon, as well as making them at a greater volume than other brands. 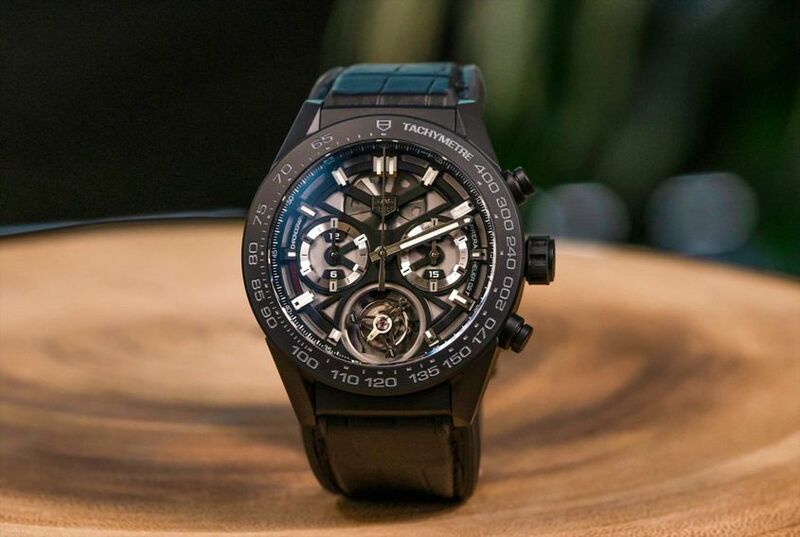 But still, the Carrera Heuer 02 Tourbillon presents a very strong value proposition and, more importantly, looks great on the wrist, especially in that all-black ceramic case. TAG Heuer Carrera Calibre Heuer 02 Tourbillon, in black ceramic, $21,750. Available at TAG Heuer boutiques.